Today is a rather momentous occassion for car lovers everywhere. 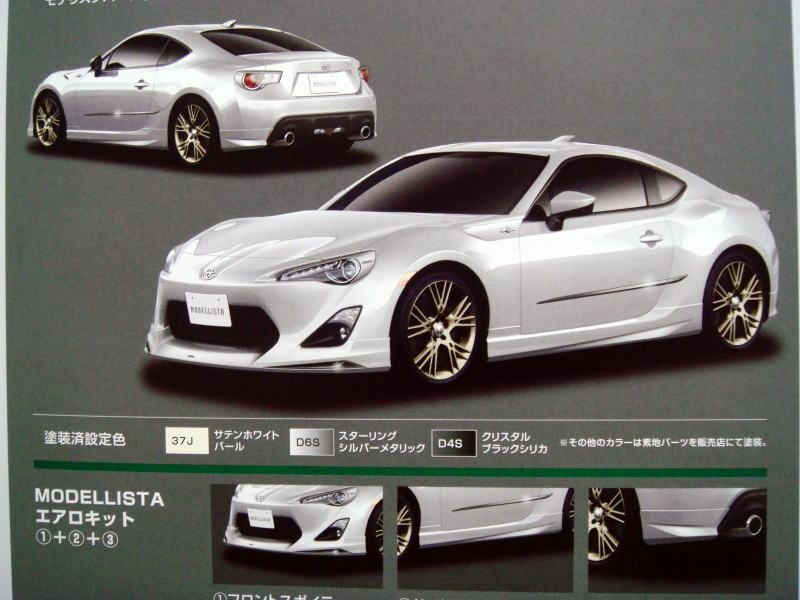 It seems that the early first drive reviews of Toyota's up and coming RWD sports car, still codenamed FT-86, started flooding onto the net. From what I can gather after scanning the early reports from CAR and Autocar magazines in the UK, they all seem to have loved it. I was fortunate enough to watch it race during the recent VLN9 race at the Nüburgring, and I must say, the little chance I managed to catch it when it came into the pits, the deep exhaust gurgle as it was pulling out into the pit lane was quite impressive (short 4 sec video embedded below). "The Toyota FT-86 feels quick enough, too, with a precise if a touch notchy gearchange, and an engine note that’s a bit growly..."
The only little bits and pieces of details coming out puts the car's stats at 197 bhp, powered by a 2.0-litre flat-four powerplant from Subaru but with Toyota's D4-S direct injection. The car is light, though, weighing in at just 1,280 kg - for a four seater! This sudden flood of first drive reviews, according the Autocar, is probably because of the recent, um... "revelations" following the leaked pictures of the FT-86's final designs. 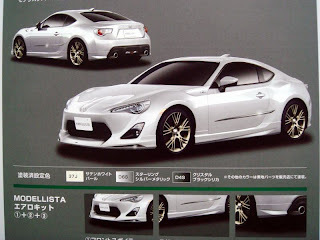 The Japanese languaged brochure from Toyota's in-house tuning arm, Modellista, really showed quite a pretty and nimble looking road rocket. And the verdict from CAR Magazine? "The Toyota FT-86 is great news for enthusiasts: it’s affordable, frugal and relatively practical. You also don’t have to be a driving deity to explore its limits."